A 394-GHz gyrotron, FU CW GII, has been designed at the University of Fukui, Japan, for dynamic nuclear polarization (DNP)-enhanced solid-state nuclear magnetic resonance (SSNMR) experiments at 600-MHz 1H resonant frequency. After installation at the Institute for Protein Research (IPR), Osaka University, Japan, a PID feedback control system was equipped to regulate the electron gun heater current for stabilization of the electron beam current, which ultimately achieved stabilization of output power when operating in continuous wave (CW) mode. 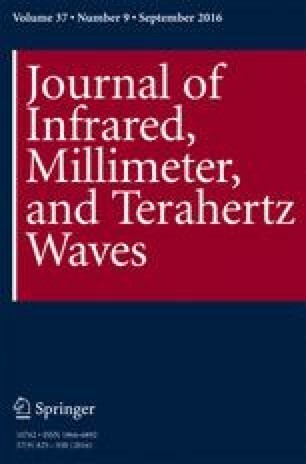 During exploration to further optimize operating conditions, a continuous tuning bandwidth of approximately 1 GHz was observed by varying the operating voltage at a fixed magnetic field. In the frequency range required for positive DNP enhancement, the output power was improved by increasing the magnetic field and the operating voltage from their initial operational settings. In addition, fine tuning of output frequency by varying the cavity cooling water temperature was demonstrated. These operating conditions and ancillary enhancements are expected to contribute to further enhancement of SSNMR signal. This work was partially supported by the SENTAN project of JST, Grant in Aid for Scientific Research (B) (no. 24360134) from the Japan Society for Promotion of Science (JSPS), and the Targeted Proteins Research Program of MEXT. We are grateful to Dr. Alexei Kuleshov and Dr. Eduard Khutoryan from O. Ya. Usikov Institute of Radio Physics and Electronics, National Academic of Science Ukraine, for the discussion about PID control. We would like to thank M. Tomohiro Kanemaki from the Research Center for Development of Far-Infrared Region, University of Fukui, for helping during the fabrication of the components. We would also like to thank our colleague Dr. Kris Frost for the English language review.